How About A Little Serenity? What's different about RV'ing or 5th-wheeling in Mexico? Here are some tips and tricks to have a safe and enjoyable trip to Mexico with your trailer or RV. You can boondock at a Pemex or other brand gas station. Choose a truck stop or 24-hour gas station. Talk to manager. Tell him you will fill up on the morning. Sometimes they have to awaken you early before the next shift comes on. Play it by ear. Be sure to tip manager and anyone who helps you. Bring extra long extension cords to hook up to outlets in RV parks in Mexico. Most Mexican RV parks have 110 volt plugs, but every once in awhile, you'll be shocked to find that innocent outlet is putting out 220. Several readers suggested getting a voltmeter. See links below for good ones. Mike, I check the outlet before I plug in anywhere in Mexico. I use a Digital Voltmeter Ammeter Ohm Multimeter. The receptacle tester doesn't measure voltage, but it does check for correct polarity and ground. If some amateur electrician has switched hot and neutral wires, you could wind up with your RV chassis energized, a dangerous situation not to mention potentially damaging to appliances and equipment. The voltmeter will tell you whether you have the right voltage. Some folks might not be too confident using the voltmeter, but on the other hand it can be very useful in diagnosing all kinds of electrical glitches in your RV. Both of these items seem like really cheap insurance.- Creigh. 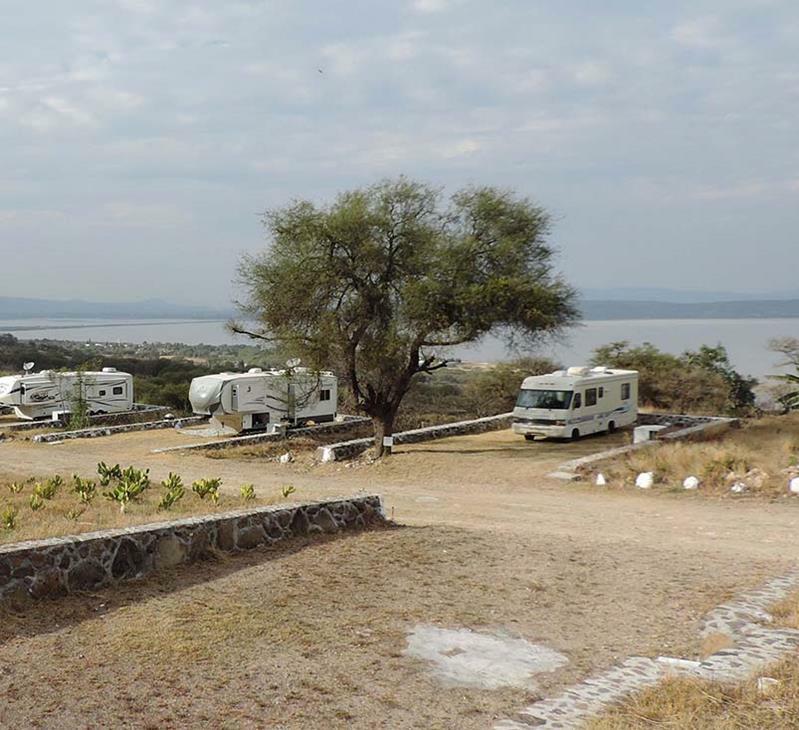 You will find several different products relating to driving your RV in Mexico (maps, road logs, travelogues or roadlogs) with RV parks and specific RV routes on my shopping cart as well as a description of my trip-planning services to help you get the most out of an RV driving trip to Mexico. If it is just a question of being lost (hey, it happens to the best of us, he said abashedly), hire a taxi driver to lead you to the park. Negotiate the fee first, but when they have a "taximetro" or meter, you'll pay what price shows. But ask for an estimate. If there is not a park where you are, you can almost always camp at a a gas station, preferably a 24-hour one like a truck stop. Ask to talk to the manager and get his permission, reminding him you will fill your tanks there. Some now change a few pesos, some don't. Whatever the case, it is worth it to get off the highway before nightfall. I have a few recommended boondocking gas stations in my roadlogs. Driving through Mexico by using the Mexican toll roads is your safest bet, BUT it will cost you. The toll rate you will be charged for driving an RV on a Mexican toll road will vary but some have a "Casa Rodante" class. Mostly, you are charged by the number of wheels on the ground, not by the number of axles as the signs at the Mexican toll booths suggest. In general, your rate is 50% more than for a car. Generally, you will pay the third category down. Don't sweat it - it will cost what it costs and you can either pay the going rate or take the free roads. You might do that once. The toll roads are easier to drive, especially for motorhomes and towed units. 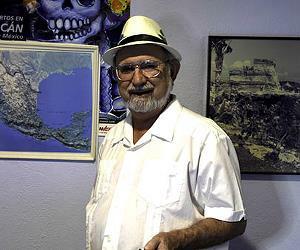 Driving Mexico is an adventure, but not as much as you think. Mexican toll roads are safe, fast and similar to first-class highways anywhere in the world. 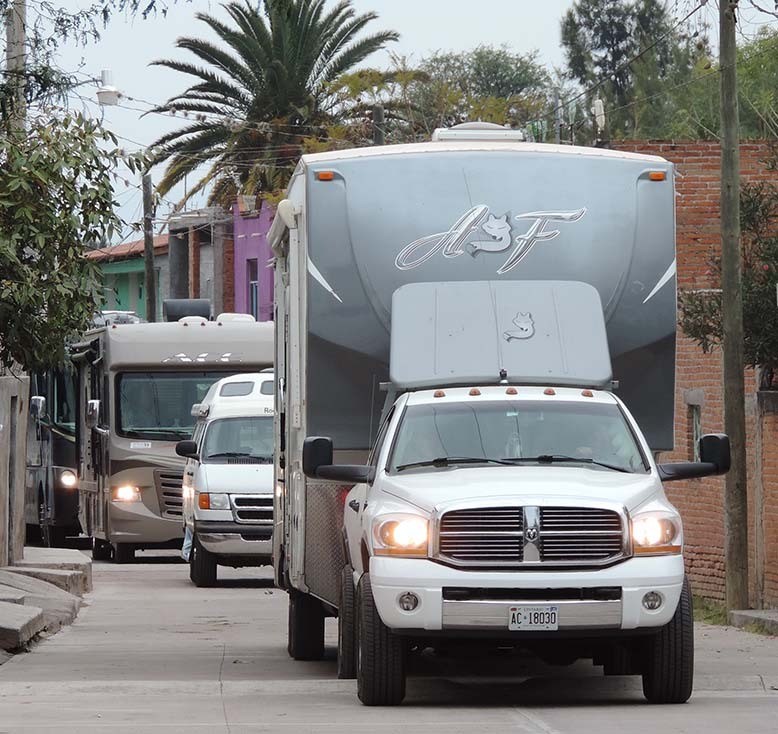 Driving your RV in Mexico doesn't require any more skills than driving your RV in the United States or Canada, other than using common sense. Please use the toll roads. Yes, they are expensive, but the damage to your vehicle on regular highways from topes, chuckholes and potential accidents is costlier.